So. here is what I remembered: I knew that she made it with Oralet – a hot drink alternative to tea, with, if I remember correctly, some powder and not any kind of tea leaves. 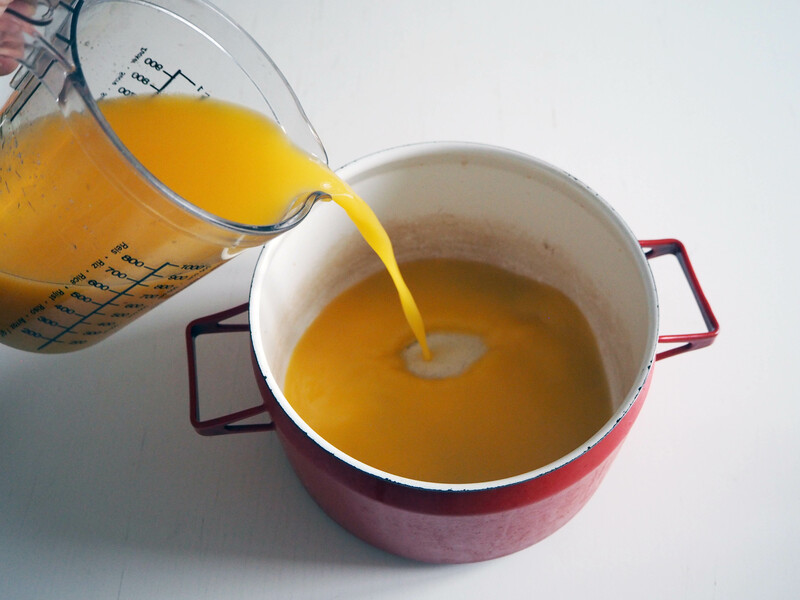 You dissolved the powder in hot water, it had several flavours with orange and lemon being the ones I remember most and it was very colourful. It was also quite unhealthy. I don’t know if it still exists in Turkey. The drink was made into a jelly, probably by using some kind of starch? Yes, correct. The second thing I remembered was that there were biscuits at the bottom. 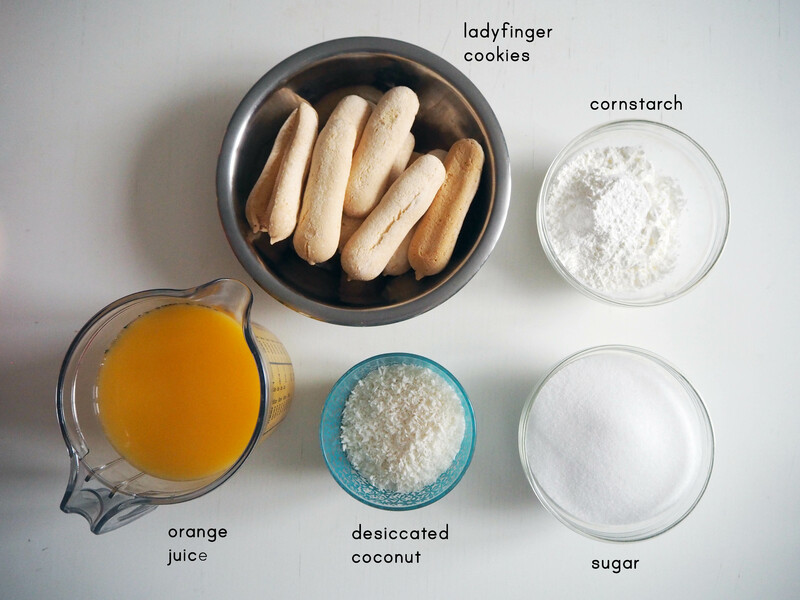 My mother and aunt corrected me on this: they weren’t just any biscuits, they were ladyfingers. Ok good, one more part of the puzzle solved. 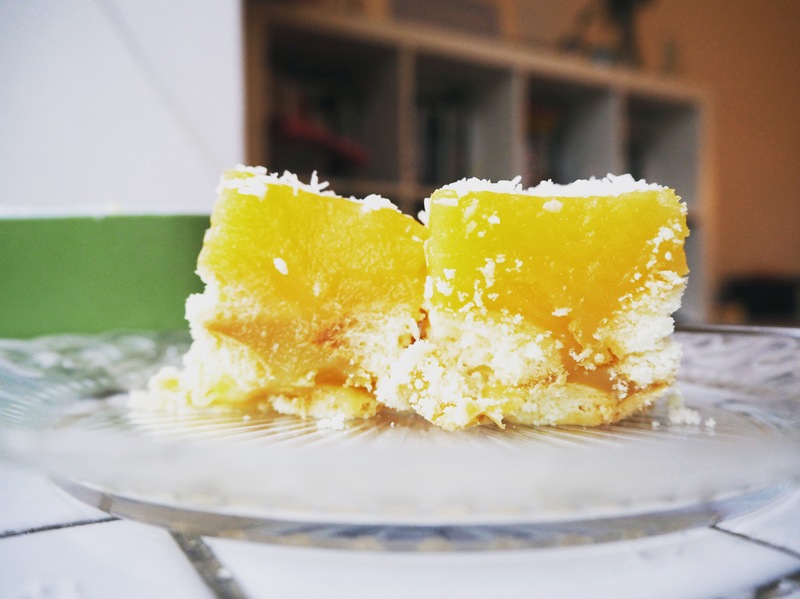 The dessert was finalised by a large amount of desiccated coconut. All ok. But what were the proportions, measurements..? Noone remembered. So I just had to try myself. I, of course, didn’t use an unhealthy drink but a 100% orange juice instead. 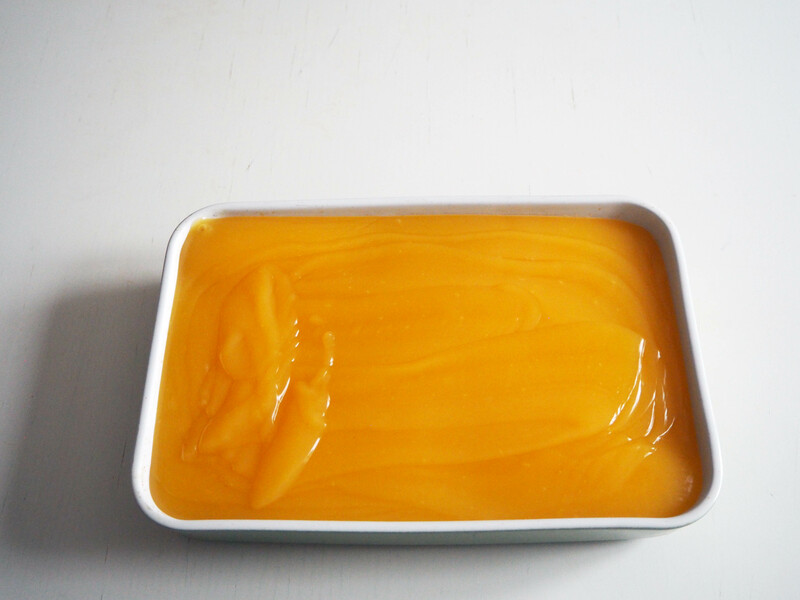 After a bit of trial and error, I found the correct amount of sugar and starch to make the perfect consistency and taste of orange jelly. 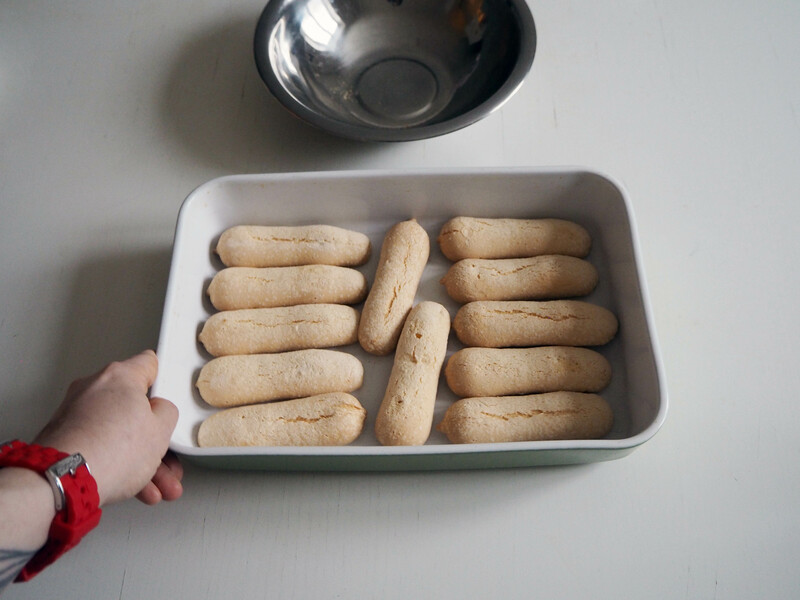 I also found gluten free ladyfingers in wholesale market, so I decided to use those. The day I made the first successful version, I took it to a pot luck dinner with some friends. I was very excited, I didn’t taste it not to ruin the look of the dessert. When we finally started eating it after dinner, with the very first bite, all my childhood memories came back to me. The countless times I ate it. The birthday tables filled with delicious food including this one. That one time when I had a very serious disease and couldn’t eat anything but 100% fat-free meatballs and yogurt, my mum had made this dessert for a few relatives visiting and I cried my eyes out as I wasn’t allowed to eat because of the disease. Heart-warming and heart-breaking stories both at the same time. I ate this dessert for the first time that evening, after about 25 years. And I will never forget it again. 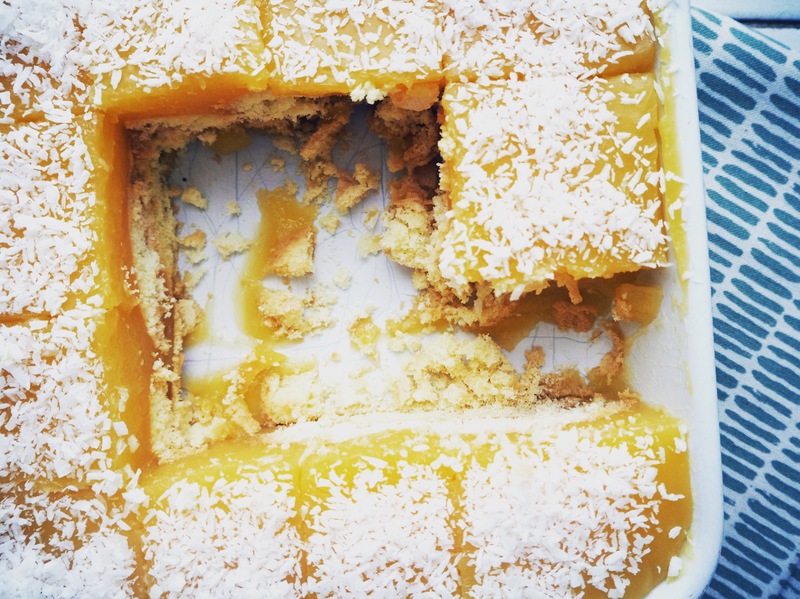 *I made this once with double layer of ladyfingers. In fact, you can see that version in the photos. You can definitely try that (keeping the rest of the ingredients same) but personally I like it more with only one layer of cookies and one layer of biscuits is also closer to the original taste. 1. 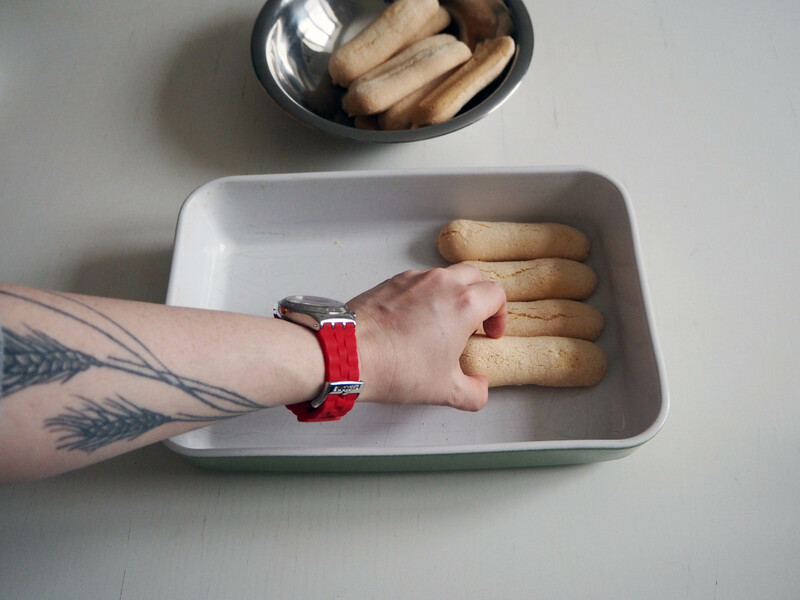 Line the ladyfingers on the bottom of a 20x30cm dish. You don’t need to grease it, you can use a ceramic, a glass or any other kind of dish you like. 2. 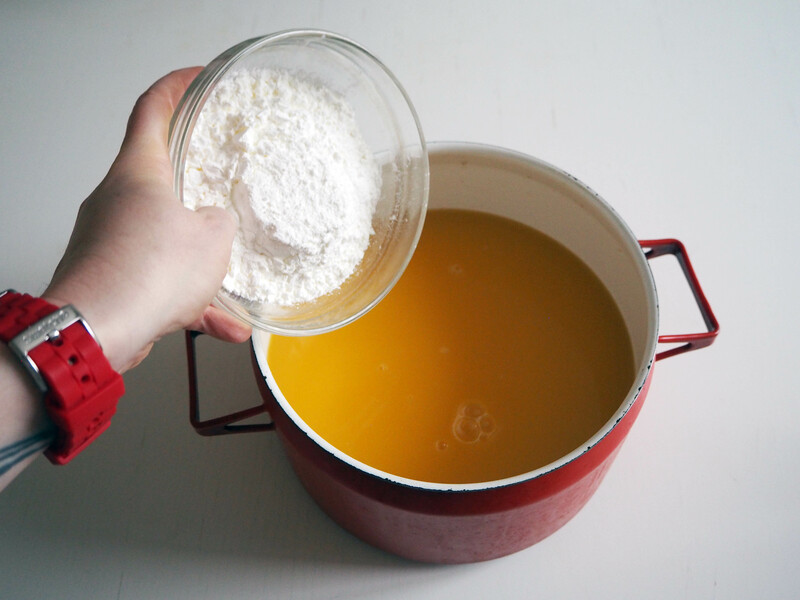 In a large pot, put orange juice, sugar and cornstarch and whisk while they are all cold. 3. THERE IS NO PHOTO OF THIS STEP, SORRY! 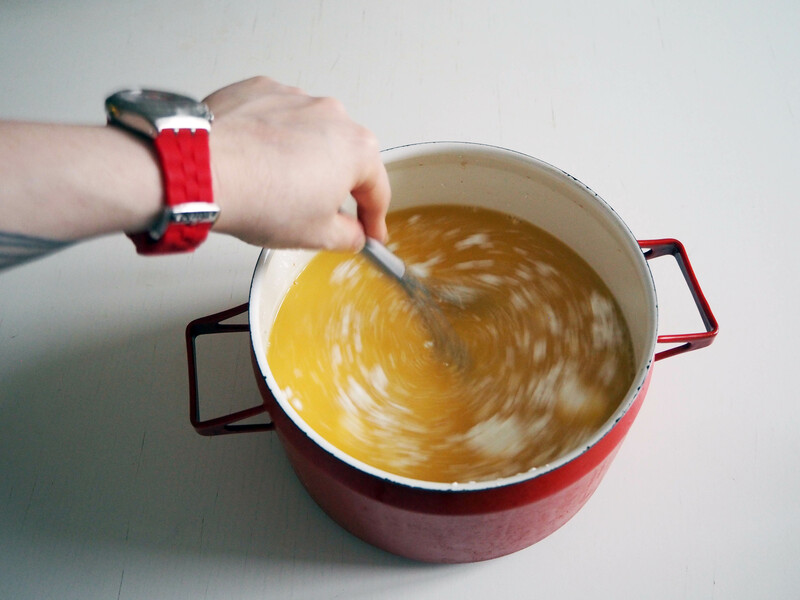 : Put the pot on medium heat and let it cook and thicken while continuously whisking / stirring. It should take about 10-15 minutes. 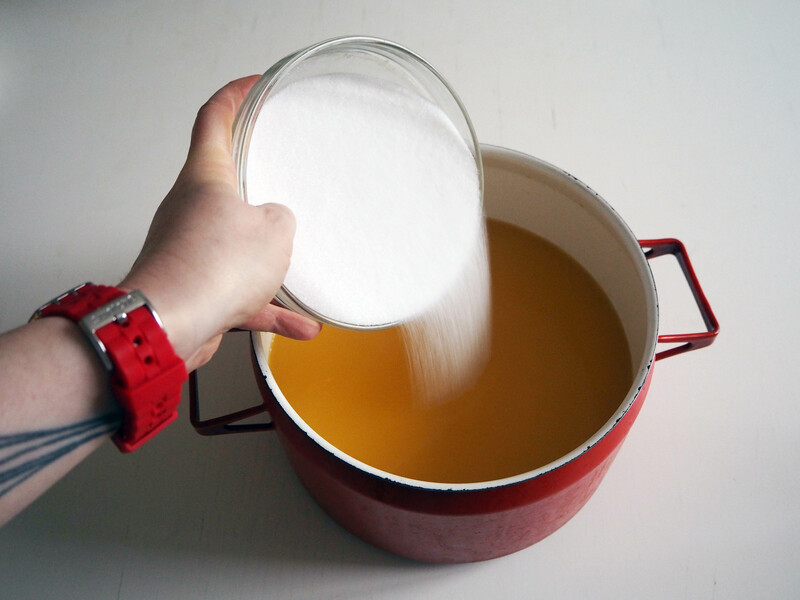 Make sure to scrape the bottom often while stirring so that nothing sticks. 4. When the liquid starts to get thick and bubbles start to come out, take it out of the heat. It should still be fluid enough to pour. 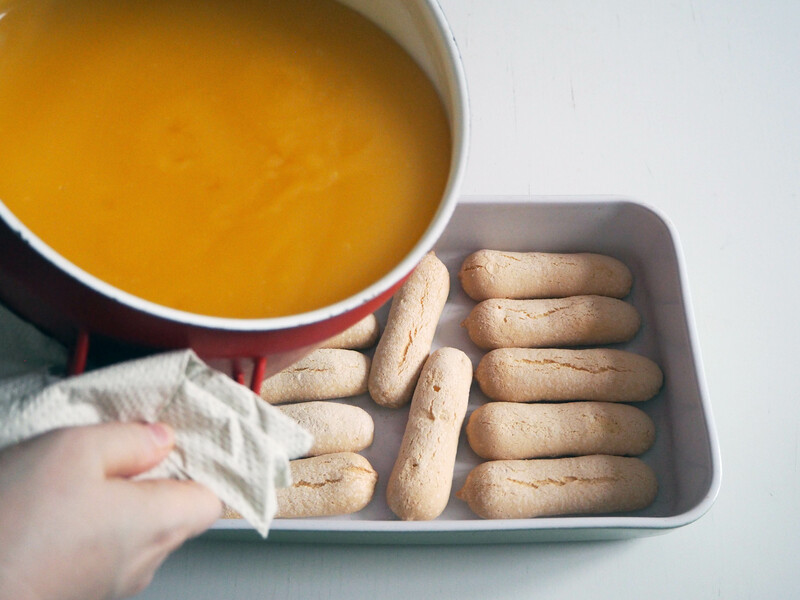 Pour the thicker liquid on the ladyfingers gently and cover the whole dish. 5. Let the dish cool for about 3 minutes and then cover the surface with coconut. 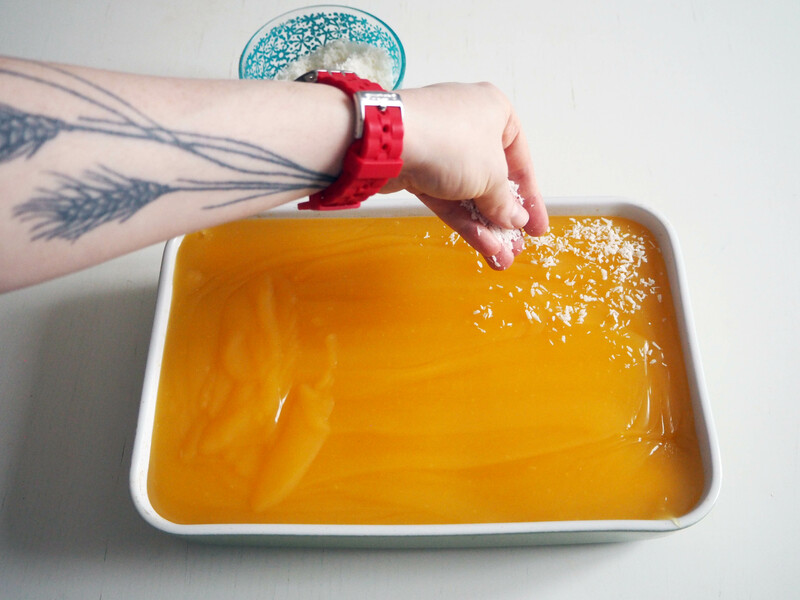 Let the dessert sit in room temperature for half an hour and then put it in the fridge for at least 3-4 hours so that it thickens up enough to slice. Enjoy it with fresh tea or coffee when it is ready and keep the rest in the fridge at all times. I love food the evokes happy memories. I’m so glad you were able to recreate this. Plus it sounds delicious, so double win! Yayyy i’m very happy when the story part of the recipe is read! 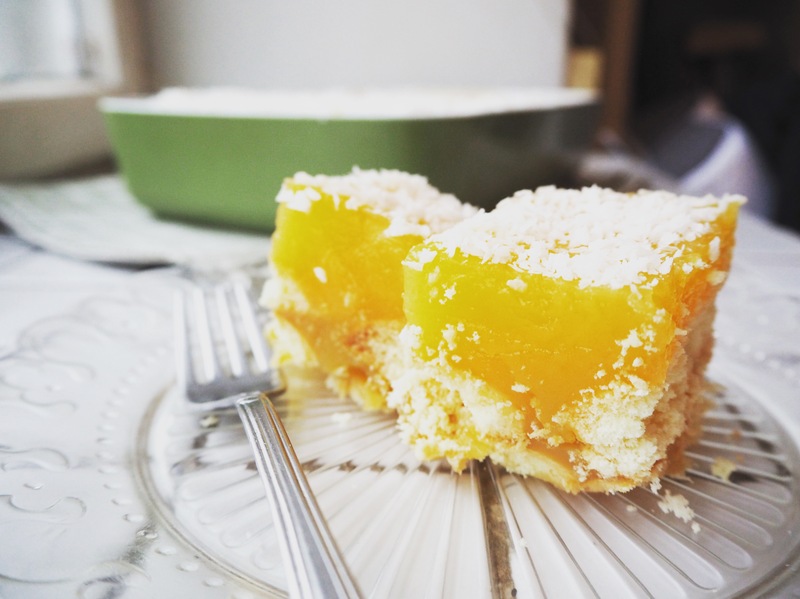 Yes, food and memories – that’s what attracted me to cooking and baking in the first place! That’s so great to hear and very motivating. Thank you! Wow this looks simple and delicious! !Can’t wait to try!! Can we substitute sugar with stevia? 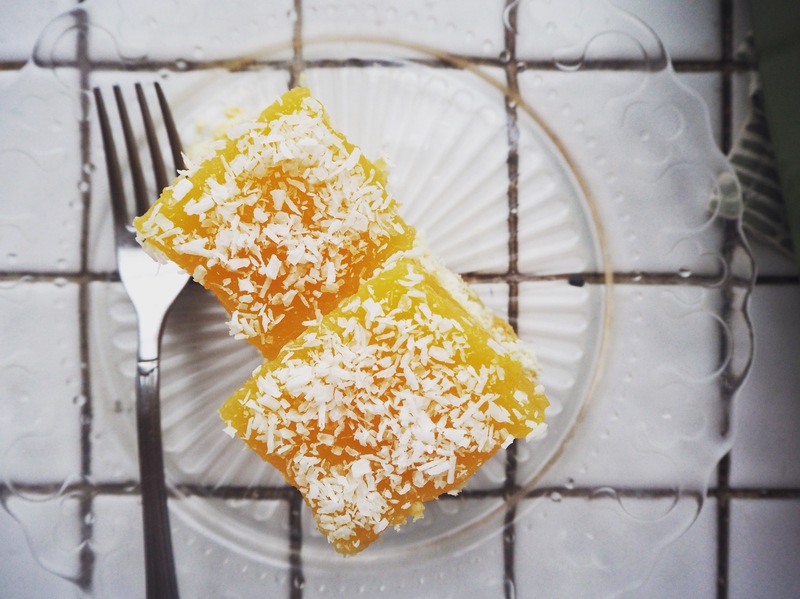 This looks so delicious, Asli! Will definitely have to try this. 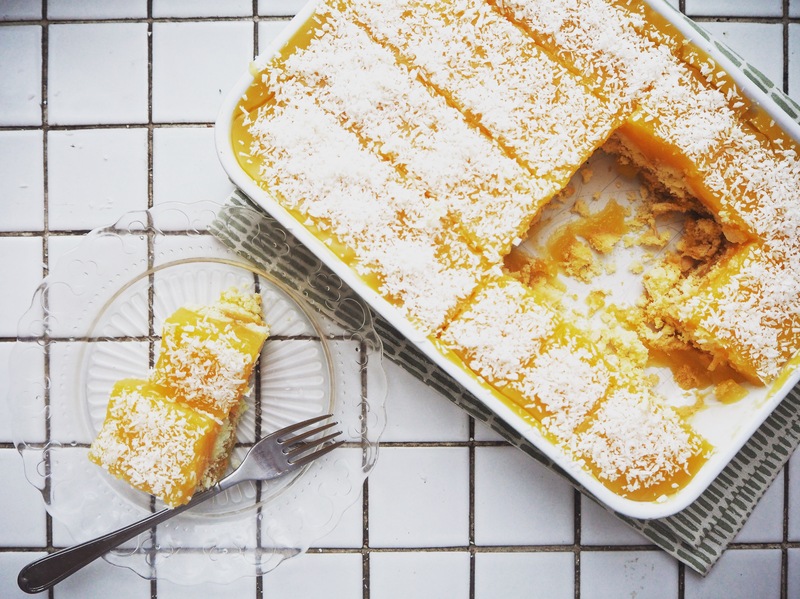 It reminds me a bit of a lighter version of an orange tiramisu my mum sometimes makes and which might just be one of my favourite desserts. ohhh orange tiramisu sounds so good. Previous PostGreen Peppers Stuffed With Aromatic Tomato Rice – Hello 2019!